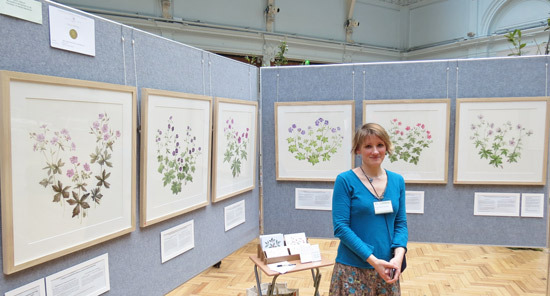 Would you like to win a Gold Medal for your Botanical Art? Have you got the stage where you've started to wonder about the logistics of what's involved in submitting an entry? 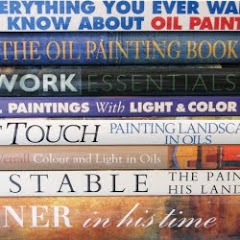 If the answer to any of these is 'Yes" read ON - and you'll learn a thing or two - or ten! 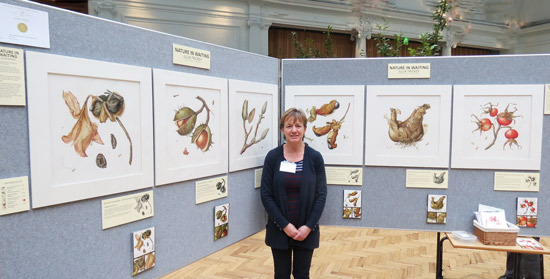 I paid two visits on Friday and Saturday to the RHS Botanical Art Exhibition at the RHS Lindley Hall on Friday and Saturday. This is a tip arising from various comments. 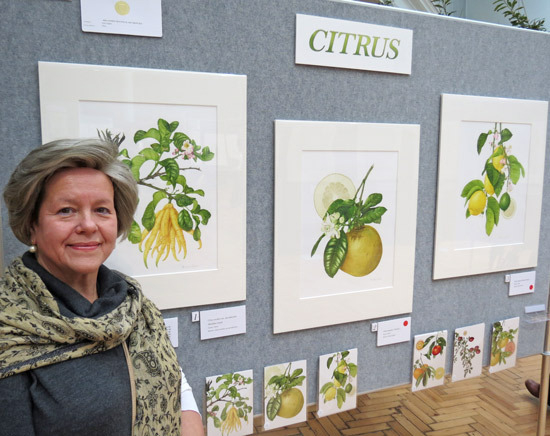 Feedback to artists by the RHS suggests that the quality of work now being submitted to the RHS Botanical Art Exhibition is such that the selectors are now getting very choosy. This year they awarded 8 Gold Medals and no Bronzes. Realistically, you'd have to be a previous winner of a Gold or Silver Gilt to stand a chance of being selected. That means if you want to exhibit more than once, you're going to have to win a Silver Gilt or Gold Medal at your FIRST attempt. TIP #1: Aiming for a Gold Medal Standard for your first entry is absolutely essential if you want to exhibit more than once! Annie Hughes (Gold Medals 2011, 2012, 2013) from NSW, Australia recommends finding a Grower who is both interested in your project, prepared to lend plants and is also flexible. It had never occurred to me that growers would lend plants, however I could immediately see that supplying plants to an artist who wins a RHS Gold Medal could work well for a horticultural business. So here's a call-out for Mark Engall of Engall's Nurseries in Sydney who supplied Annie's Citrus plants! First time exhibitor Laura Silburn of Cornwall came up with this excellent tip! 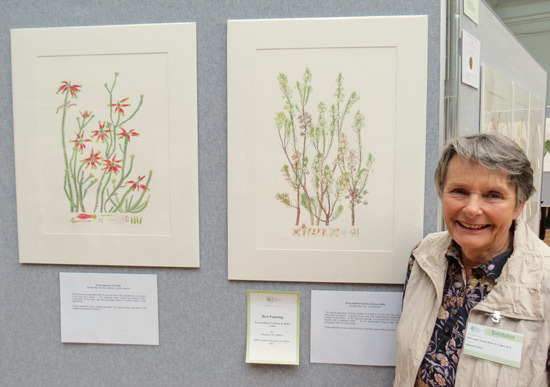 In deciding what theme to have for her work, she decided it was probably a very good idea to remember that the RHS is a horticultural society which is keen to identify and promote the best in plants. Gülnar Ekşi from Turkey recommends studying botany to make sure you understand the plant, its plant morphology and its unique or very special features which should be clearly featured in RHS artwork - which must be botanically accurate. A very high standard of work is required in the exhibition of botanical illustration. Emphasis is placed primarily on botanical accuracy with aesthetic appeal. Another tip from Gülnar Ekşi from Turkey. She recommends lots of practice to achieve excellent quality. So if a piece isn't working, start again and make it your best work rather than trying to work round any errors made! One of the criteria for your exhibit is that it must fill but not swamp the exhibition space. 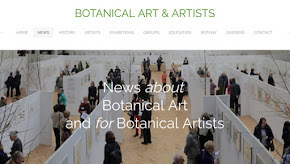 My view is that the RHS are looking to reward botanical artists who know how to exhibit their work to a professional size and display standard. This tip comes from Julia Trickey (4 Gold Medals 2006, 2008, 2012, 2013). Display boards are light grey in colour, 2m long x 1.3m, and arranged in a zigzag fashion. Julia starts by working out a plan for her display. She knows that each display board is 2 metres wide. She allows herself a MAXIMUM of 1.8 metres per display board for the artwork as space is also required to tell people about yourself and to provide space between each artwork. A minimum of six works on two boards gives a width allowance of no more than 60cm. 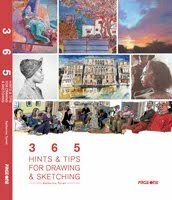 Thus the maximum width of the artwork which has a decent margin of mat is around about 45cm which means that the effective working width of the artwork is around about 40cm. Julia also works out the design of the work so she knows more or less how each will look relative to the others before she starts or revises her design to fit a plan for the overall exhibiti rather than working on the design of an individual piece in isolation. This tip comes from Margaret de Villiers of Hermanus in South Africa. Margaret is a first time exhibitor and won a Gold Medal for her display of Cape Ericas. She also won Best Painting in Show. Particular credit is given for botanical accuracy, exact colour reproduction and attention to detail. Higher awards tend to be given to exhibits illustrating a particular theme or plant family. Margaret doesn't pretend to be an expert botanist, nor is she somebody who is a technical geek. 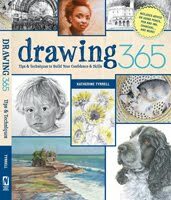 There is nothing in the regulations which says that the artist has to be responsible for all the dissection or recording it for reference material. Consequently Margaret asked somebody who was an expert on the Cape Ericas to do the botanical dissection for her so that she had all the information which was relevant to each plant - and was advised and understood what was important. The dissections were then photographed (think magnification and high resolution!) and transferred to a CD. A Photographer friend then printed all the photos out for her and from these, she decided which images to use for the dissection information which runs along the bottom margin of each image. In other words she assembled an expert team to support her with the work she knew needed doing. Whether the work is shown framed or unframed is again up to the exhibitor but the exhibit must not be a mixture of both. Work should preferably be presented in off-white single mounts and, if framed, in simple light-coloured wooden frames. Signage is considered as part of the overall presentation of the exhibit and will be judged accordingly. Thus there is no requirement to present the work in frames. 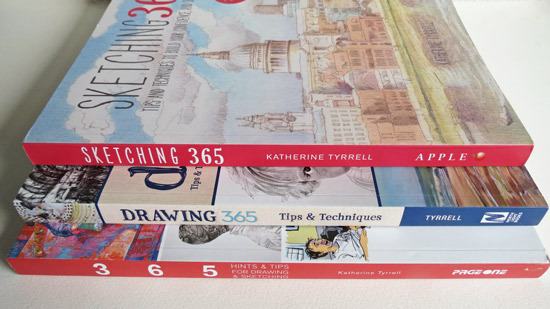 Artists from abroad typically do not frame their work to save on weight. Sandra's preference is for a double mount which she feels sets off the work better. She also lays emphasis on the graphical quality of the labelling for both theme and the individual works. TIP #8: Think about the quality of the mats and labels as well as the artwork! 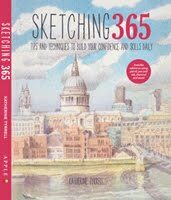 This is my recommendation - and it's one which is always reinforced by listening to the stories of how a portfolio of work was put together. 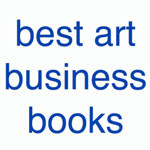 You need to first show a sample of original work (four pieces) to the Picture Advisory Committee. The deadline for consideration for exhibition in 2014 and subsequent years is 26 June 2013. 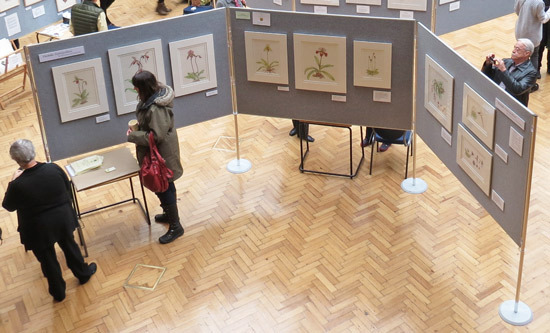 Please note there is an annual submission meeting to assess artists for exhibiting in RHS shows. The deadline for submissions for consideration at this meeting is Wednesday 26 June 2013.The date of the next selection meeting is 10 July, 2013. However you also have to apply for a space to exhibit - and you can only do that once you have been approved. You need to be very sure you will be able to deliver when booking your space as cancellations count against getting a place again in the future. 10. You need many more business cards than you think possible! All but the previous GM winners had run out of business cards and images of their artwork on their first day! I'd estimate most GM winning artists will get through at least 200-250 business cards and will also sell a lot of cards of their work. It seems silly not to bring enough! Remember this is marketing! If the card is attractive people will keep it and may contact you again in the future with a commission. TIP #10: Triple the number of cards you first thought of! 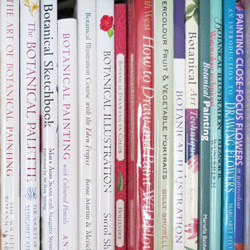 I'm now minded to review How to enter the RHS Botanical Art Show which I wrote two years ago to see if it needs updating although I suspect most of it is pretty much the same rules and guidelines. The only thing which has changed is that you now only need to submit six works rather than the nine which used to be required. Thank you so much for this Katherine! This is brilliant advice! Thanks Katherine! What a wonderful succinct clever summary of 'must do's' Katherine! Thank you! thank you for your interesting botanical web sites RHS and SBA. 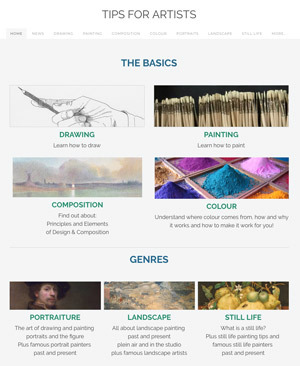 Great for teaching purposes for those who cannot get to the exhibitions. Very inspirational. Invaluable information with good visual support. You are amazing at what you do. Although I do not often comment, I am a loyal follower and you have helped and inspired me many times. This remarkable post reminded me how important it is to prepare a plan, have higher standards and attend to the details.